Ann Harrell was born in Eastland, Texas, on 9th December, 1918. After graduating from the University of Texas with a degree in journalism she found work with Columbus Citizen-Journal. In 1941 she married a fellow journalist, Bill Stringer. They both moved to South America where they wrote about foreign affairs. In 1944 Bill went to cover the Second World War in Europe but was killed by a German tank while in France on 6th June, 1944. After a long struggle Anne was eventually accredited to the First United States Army and arrived in France four days after the D-Day landings. 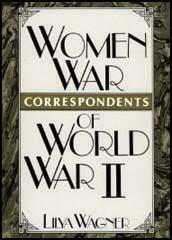 At first Anne and the other women reporters were placed under the command of the Public Relations Division and were told they could not visit the front-line. This directive was later changed and along with Tania Long, Iris Carpenter and Catherine Coyne she was allowed to travel with the 1st Army and reported the war in France, Holland, Belgium and Germany. This included being at Torgau when the Red Army and the US Army joined up for the first time. Her biographer points out: "While the boy reporters were celebrating with the guys and riding back with champagne in jeeps and not worrying about competition because all the guys were partying together, Mrs. Stringer bummed a ride to Paris on a C-47 cargo plane and was thus able to beat her competitors with a flash across the world that the armies were linked - the Russians having conquered across Germany from their homeland and the Americans from the invasion points in Normandy across France into Germany." 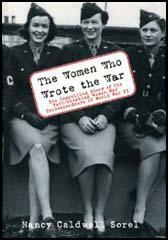 Ann was also with the troops when they liberated Buchenwald and Dachau. In 1946 Ann covered the Nuremberg War Trials. She also interviewed the former wives of Benito Mussolini and Heinrich Himmler. In 1949 Ann Stringer married Harry Ries and gave up her career in journalism. Ann Stringer died in 1990. Then Lt. Grigori Otenchuku, a veteran of Stalingrad, stepped forward to make a formal speech in behalf of the Russians. "A few months ago German soldiers were nearly in Stalingrad," he said. "Now Russian soldiers are in Berlin and Russian soldiers are here - all the way across Germany - with their American Allies." Frau Margarete Himmler maintained today that she was still proud of her infamous husband and shrugged away the world's hatred of the dead Gestapo chief with the calm observation that no one loves a policeman. When I told her that husband Heinrich had been captured and had died from his own dose of poison, Frau Himmler showed absolutely no emotion. She sat, hands folded in her lap, and merely shrugged her shoulders. Until then she had not known what had happened to Himmler since he last telephoned her from Berlin around Easter while she was at their home near Munich. When first captured by the Fifth Army she had claimed a weak heart and internment camp officials, fearful of a heart attack, never told her of her husband's death. But even when I told her that Himmler was buried in an unmarked grave Frau Himmler showed no surprise, no interest. It was the coldest exhibition of complete control of human feeling that I have ever witnessed. I talked to Frau Himmler in a luxurious villa home owned by a former movie magnate where she and her 15-year-old daughter, Gudrun, are being held with one other female internee. I asked her if she was aware of her husband's activities as Gestapo chief and she replied, "Of course." Then I asked her if she knew what the world had thought of him and she replied, "I know that before the war many people thought highly of him." Asked if she realized that Himmler was probably the most despised and hated man in the world after the European war got well under way, Frau Margarete shrugged and said, "Maybe so. He was a policeman and policemen are not liked by anyone." Frau Margarete denied the possibility that her dead husband might have been considered the No. 1 war criminal. She said, "My husband? How could he be when Hitler was Fuehrer?" Asked if she was proud of her husband, Frau Margarete replied, "Of course, I was proud of him." Then she added, "In Germany wives would not even be asked such a question." Then pressed as to whether or not she was still proud of Himmler when he had sentenced millions of innocent people to death by torture, gassing, or starvation, Frau Margarete answered non-committally, "Perhaps. Perhaps not. It all depends."